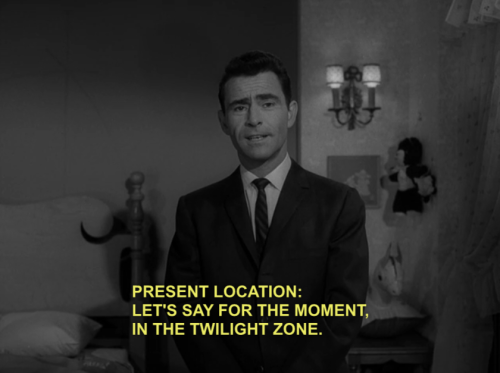 The Twilight Zone (1959-1964) has been supremely influential in my spirited engagement with meaningful artistic work throughout my life. It first illuminated the importance of the storytelling medium as a vehicle for an awareness of the absurd. The plots fulfilled the craving we all have for existential mysteries. As a work of writing, it surfaced as an effective podium for clever social commentary in the vein of the mythical. I began watching episodes of the show when I was very young, introduced to its majesty and terror by my father, who himself watched it as a boy when it aired. At that time, it was entertaining almost entirely because it was old and because it was strange. The stark black and white visuals were certainly terrifying to my young and overactive imagination; the ominous music touched a nerve. I can recall sleepless nights after watching a single episode. My mind reeled from contemplations on a life or death game of pool, a bucket of Shakespearean toys, a giant woman in a cabin, a monster on the wing. Over the years, rewatching classic episodes formerly ingrained only as chimeric shadow plays of childhood reverie, has shined new meanings upon it as an integral work of timeless art. 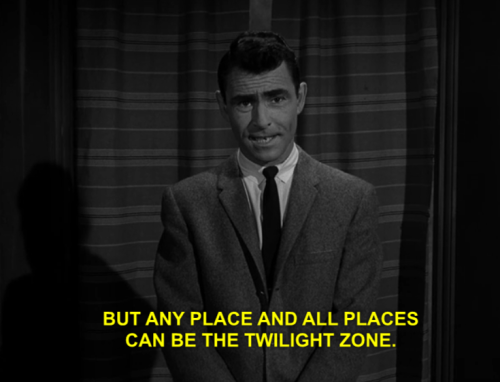 The relevance of The Twilight Zone simply does not falter in age. Instead, it has persisted and strengthened as the finest wine. Upon more critical analyses, it is clearly the most important, paradigm-shifting cultural artifact from my long history of media consumption. It is also a singular inspiration for my own writing. Here in this essay, I will attempt to convey what makes it so compelling to me. Something missing from many stories and from many people, I think, is a sense of imagination. I admire it in others and try to generate it with my own acts of creativity. 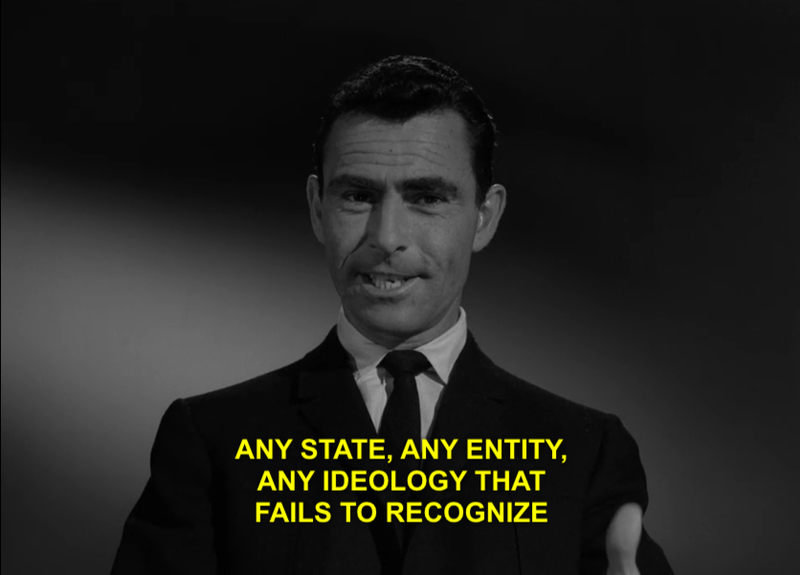 The Twilight Zone (“TZ”) has no shortage of imaginative force. It’s an anthology series in which every disconnected tale gets to start fresh with a new story. It is an effective mechanism for the storytellers to begin with a limitless stream of “what if” questions and bear them out with brutal efficiency inside of a half hour. What is contained in these tales is the magic of TZ — supernaturalism, horror, thought-provoking scientific ventures, and the fateful twists of destiny from the past, present, and future. However, it is important to note it’s not our time or our world, it’s an alternate plane of existence — albeit a similar enough one to implore us to pay close attention. As creator Rod Serling proclaims, it presents a middle ground of light and shadow into which the human spirit can be borne again and again in new and compelling contexts. 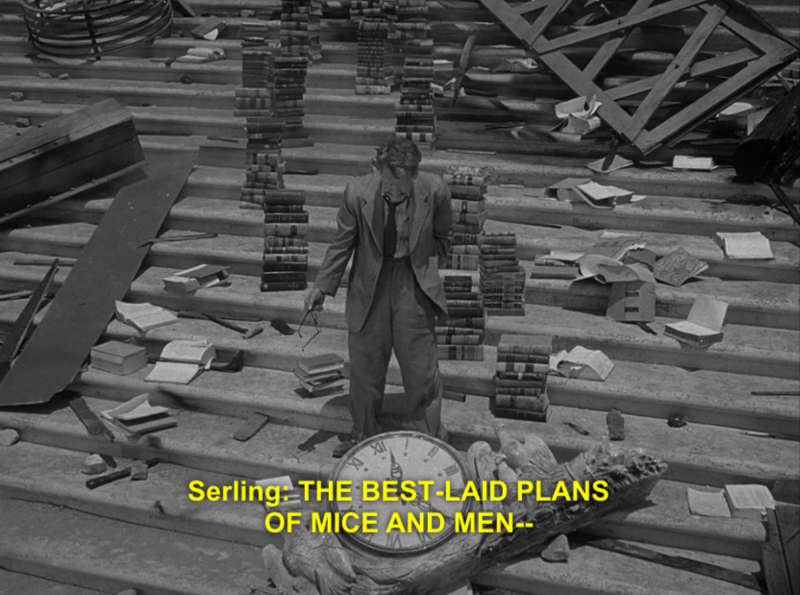 This platform of the fantastical allows TZ, and Serling, to craft exquisite tales of open-minded social commentary within the entertaining backdrop of starkly pulp fiction. I think part of what makes TZ so refreshing and why it has endured to so many generations thereafter is in this variety. Each episode is an essay on human nature. The anthology-oriented style opens up the show’s many writers, directors, and actors to play out these original tales with unique premises and messages. 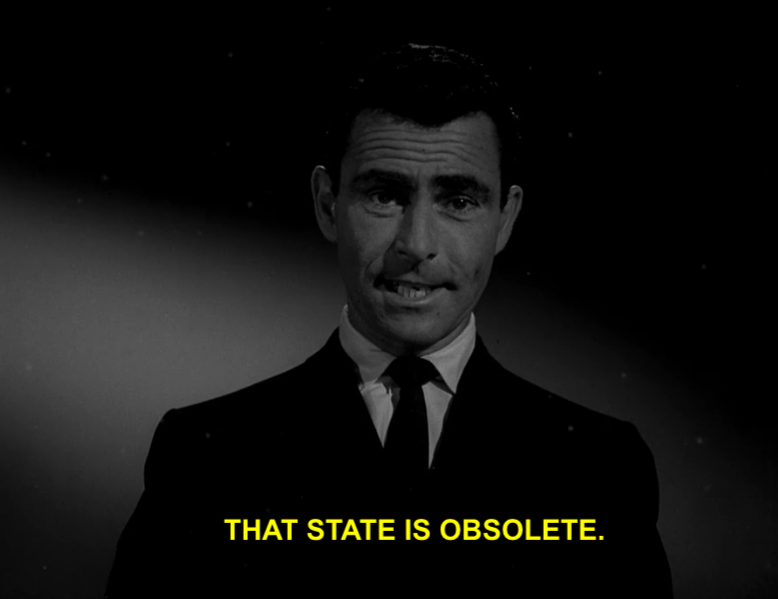 TZ regularly deals with aliens, ghosts, time travel, shadowy figures, and supernaturally-induced existential crises of every possible flavor. The key for this form of otherworldly storytelling to work is in a charitable exchange with the viewer. 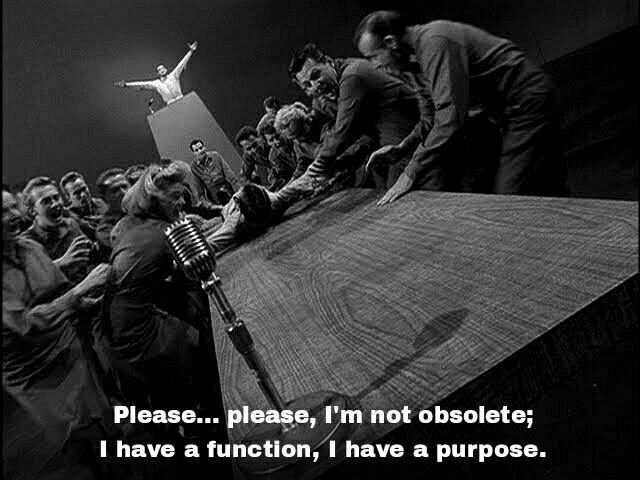 A certain level of buy-in must be had from the audience, i.e. a suspension of disbelief. It takes its form by us being invested within a fictional story you know might be impossible. And realizing that fact doesn’t necessarily make it any less important. 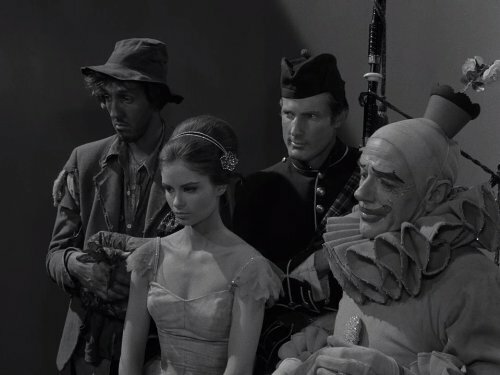 Despite their exceptional variety, almost every TZ episode consists of similar aspects of disbelief, fear, paranoia, and ultimately madness. Generally speaking, the protagonist — a contextually ordinary man or woman — exists within the mundane before something spectacular is introduced, a strange entity or phenomena. At the heart of every episode is a mindfully concealed mystery. This development drives the characters’ experience from then on and certain progressions are made. A profound change comes over them as they come to terms with meeting the devil, or living under an ominously darkening sky, or continuously waking up into an eternal nightmare that ends in death. The supernatural phenom runs up against the norms of prior existence and nothing makes sense anymore, nothing can be the same. And they are alone — no one believes them, or no one else cares, or no one else even possibly knows or understands the scope and conspiracy of it all. The TZ world is a singularly anxious one for the character and viewer alike. Purposefully and in short order, the core conflict of the episodes become the only thing that possibly matters to these characters anymore, and to us. For a single night, the rest of this unfortunate (or sometimes fortunate) individual’s existence hinges upon a resolution to the inscrutable problem presented. There is an impatient rush to either: dawn breaking the shadows of the dream, or the nightmare consuming the person forever. If TZ and its abundance of weird tales says anything at all about human nature, it expresses much concerning the types of radical actions & attitudes Man is capable of given the right circumstances. Fear, and the defiance of it, can be considered as a driving force behind much of human animation — both in creation and destruction. We are either in control of our fears — those of failure, loneliness, mortality — or they are in control of us. When faced with an impossible and hostile unknown, we are inclined to extreme bouts of this subjective fear. Under the right pressure, and in the face of unassailable enemies, this kind of fear, almost without exception, can lead us unto madness, or something like it. Human beings operate with the bounds of the rational; we are creatures of the mind, beings of science and economics. On the whole, the average person’s behaviors and emotional responses can be predicted given what we understand about their environment. 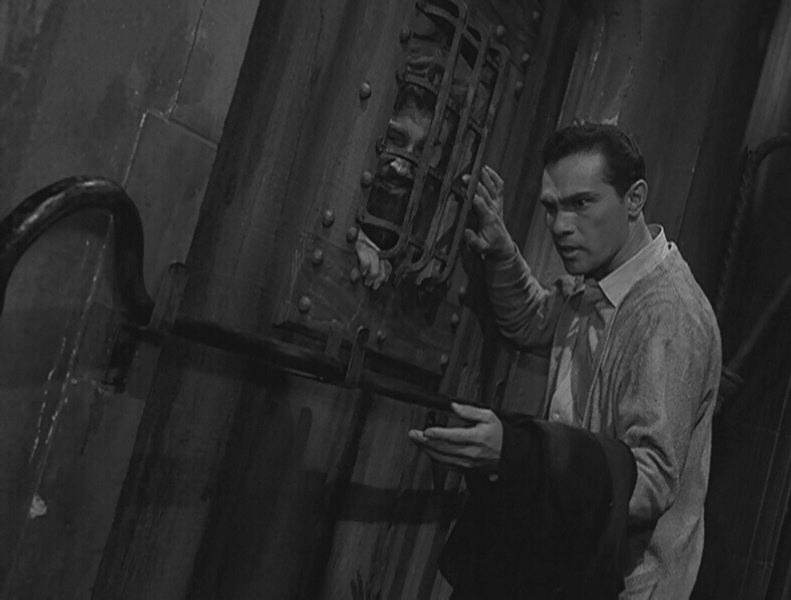 Inside a warped TZ plot, the drive into madness is rational — we can understand the necessity of such responses when coming up against unfathomable monsters both within and without. 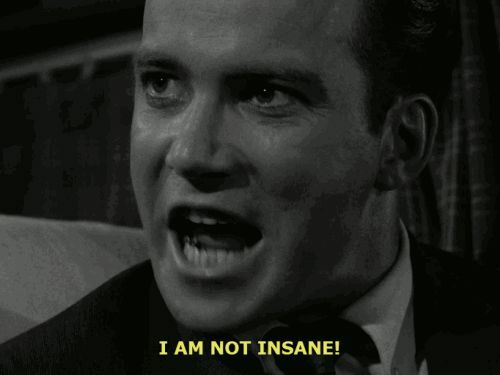 Truly, how much of our mental health, our capacity for rational acting, our very sanity, is dependent upon inherently logical schemas built up over a lifetime, and on circumstance? If the conditions of anyone’s life were adjusted enough from the ordinary into the hastily extraordinary, then it would no longer be hard to believe their inevitable tip into delusions and aberrant behavior. The narratives of TZ present an invaluable thought experiment: when presented with incommunicable fears enmeshed inside of human instincts and prejudice, an incontrovertible stage for existential madness is devised and played upon. The point here being: in moments of extremis, we are all equal in this way — we are all quiescent madmen waiting to be unveiled. These realms of TZ, those of terror, magic, and illusion, opens up the viewer to what might be possible in our world by showing what is possible within fantasy. For better or worse, the hypothetical fantasies play out before us. Before these stages, we consider the reactions of the players on the screen, often placing ourselves and our societies into those same contexts. This is what good fiction will do, of course. And perhaps no fiction is better at generating these considerations than the scenarios presented inside TZ. 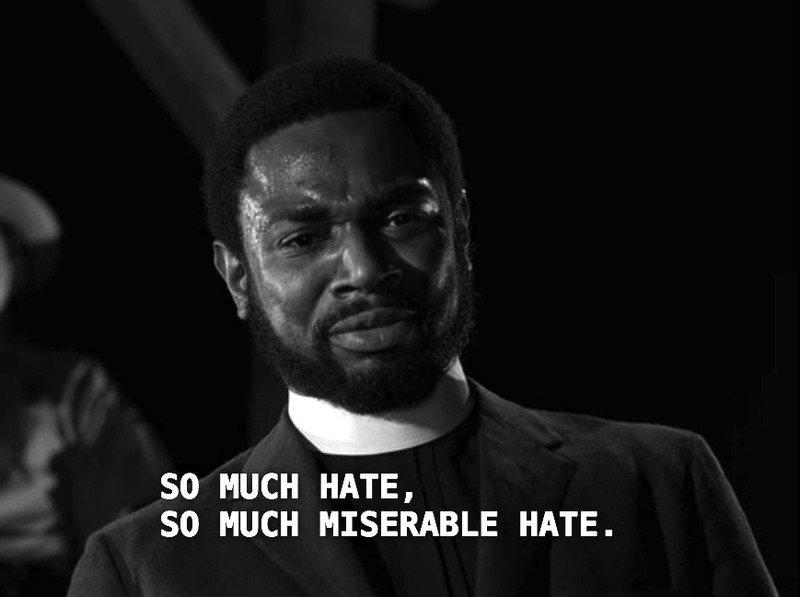 It is a testament to the show’s conceptual directions that almost all of the issues dealt with in the show are still relevant today. But isn’t truth often stranger than fiction, our own reality more fiercely unforgiving and unexpected than our stories? Serling’s masterpiece deals in the absurd, in the indifference or outward hostility from the dark & mysterious forces around us — both in dreams and waking life. When Rod comes onto the screen at beginning of each episode to introduce the shared reverie, and when his rich voice compels each story to its conclusion, we are grounded to the real moral content of the fantasy we have just borne witness to. In spite of psychic monster toddlers, killer dolls, and doppelgängers — the painting left on the canvas is one laced with unmistakably human implications. 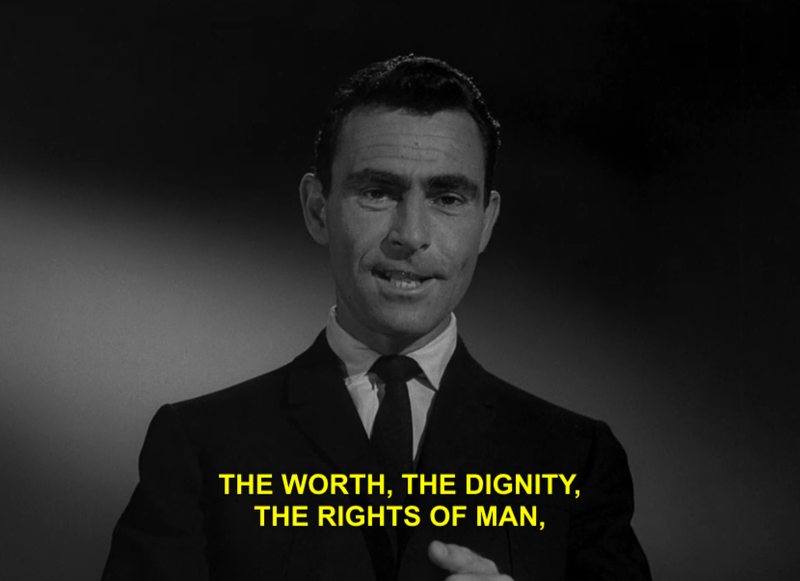 Mr. Serling consistently stressed the importance of art for its role in effective social commentary and the responsibility of the artist to have an awareness of history. The book-burning obsolete regime of the State is a nightmarish future well-envisioned, and based in our past; the ghosts of the Holocaust still haunt us; the monsters on Maple Street are alive and well; the enduring prejudices in our hearts are just as dark as the eternal night enveloping the sky above us.